New credit cards hit the market more often than you might think. More than 15 brand-new credit card offers have launched since the beginning of 2018, according to WalletHub’s comprehensive database of 1,000+ cards, which has been continually updated since 2008 as new credit cards have come and old cards have gone into retirement. 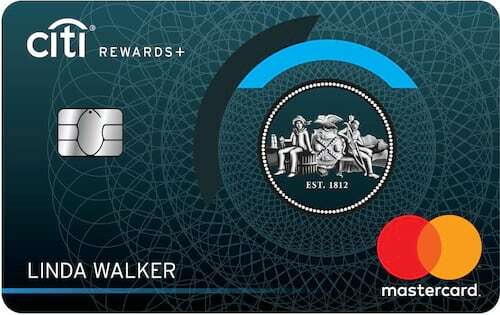 The new Capital … show moreCapital One® Savor® Cash Rewards Credit Card started accepting applications in August, for example, and the new Citi Rewards+℠ Card launched in January 2019. In addition to the entirely new credit cards that launch from time to time, familiar credit card brands sometimes get a complete makeover and come back offering new rewards, interest rates, fees and benefits. Every so often, you’ll even see a whole new credit card company come to market. To make sure you don’t miss out on anything good, WalletHub’s editors monitor the credit card market and showcase new offers as they become available (some cards are from WalletHub partners). Below, you can check out their picks for the best new credit cards that have launched in recent months, including both brand-new cards and offers that have changed so much you’d think they were brand new. It’s helpful to at least consider new credit card offers when they are introduced. They were not available when you got your last credit card, after all. And you never know what kind of savings you might be missing. Plus, new credit cards often come with a special sign-up bonus, intro APR or other such incentive to create buzz for the new offer. And those are usually limited-time deals. Continue reading below to learn more about all of the new credit card offers that have launched lately. show less New credit cards hit the market more often than you might think. More than 15 brand-new credit card offers have launched since the beginning of 2018, according to WalletHub’s comprehensive database of 1,000+ cards, which has been continually updated since 2008 as new credit cards have come and old cards have gone into retirement. 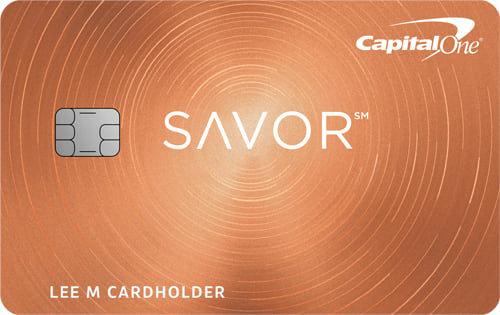 The new Capital Capital One® Savor® Cash Rewards Credit Card started accepting applications in August, for example, and the new Citi Rewards+℠ Card launched in January 2019. The Citi Rewards+℠ Card is a pretty good all-around credit card, offering something to like in all the major categories: rewards, APRs and fees. Starting with what this Citi rewards card lacks (in a good way), there’s a $0 annual fee as well as an interest-free period, with introductory APRs of 0% for 12 months on new purchases and 0% for 12 months on balance transfers. The card does, however, charge a balance transfer fee of 3% (min $5). There’s obviously more to the story, too, considering the card’s name. The Citi Rewards+℠ Card does offer plenty of rewards, starting with an initial bonus of 15,000 points – redeemable for $150 in gift cards – for spending $1,000 within three months of opening an account. Cardholders also earn 2 points per $1 on the first $6,000 they spend at supermarkets and gas stations each year. All other purchases yield 1 point per $1 spent. But it actually works out to a bit more, considering Citi rounds up the points disbursed for each purchase to the nearest 10. They also give a 10% rebate on the first 100,000 points redeemed each year. The Citi Rewards+℠ Card has a 3% foreign transaction fee. Applicants generally need good credit or excellent credit for approval. If you like going out for dinner and a movie, you’re going to love the Capital One Savor Card. The first course is a $500 initial bonus, which covers the cost of the card’s $95 annual fee for the first six years (since the fee is waived year one). And for the main course, cardholders earn lots of bonus rewards, including unlimited 4% cash back on dining and entertainment purchases. If you don’t spend enough to warrant paying an annual fee for dining rewards, consider the Capital One Savor Card’s sibling: Capital One® SavorOne℠ Cash Rewards Credit Card. Marriott’s new business credit card is offering a limited-time promotion: Apply by 4/24/19, spend at least $5,000 within three months of opening an account, and get 100,000 bonus points. You will also get a free award night after each account anniversary, and you’ll earn 2 - 6 points / $1 on purchases, depending on the category. 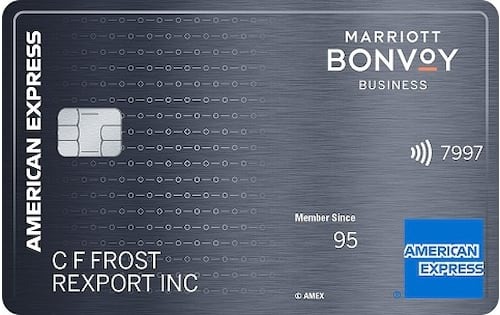 The Marriott Bonvoy Business Amex gives 6 points per $1 spent at participating Marriott Bonvoy hotels, along with 4 points per $1 in a handful of categories that include U.S. restaurants, U.S. gas stations and more. All other purchases yield 2 points per $1. Bonvoy for Business has a $125 annual fee. 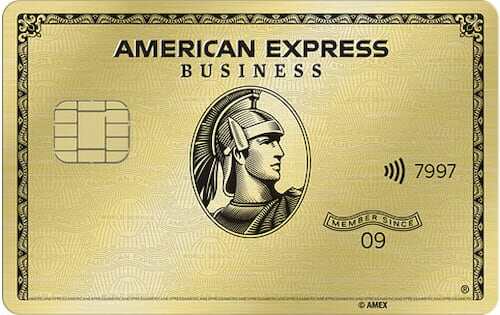 The American Express Business Gold Card is a luxury business credit card that’s great for chief executives with good or excellent personal credit who plan to pay in full most months. Amex Business Gold is not a full-on charge card. Cardholders can pay for $100+ purchases over time. But it’s not as flexible financing-wise as general-purpose credit cards. Rather, the American Express Business Gold Card is best for earning bonus rewards in popular corporate spending categories. 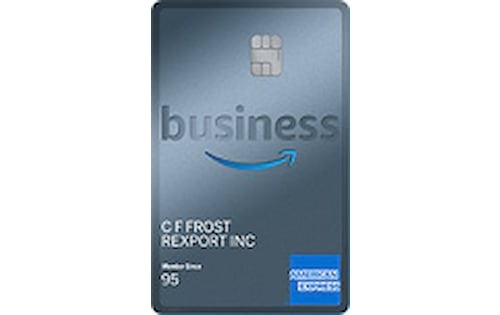 The Amazon.com Business Amex Card is great for small business owners who buy a lot from Amazon.com, Amazon Business and Whole Foods, or who spend a lot on cloud services through AWS. Cardholders get 3% to 5% back on such purchases, depending on their Prime membership status. Those aren’t the only bonus categories, either. Spending at restaurants, at U.S. gas stations and on wireless phone services yields extra, too. Plus, the Amazon Business Card has a $0 annual fee and a $100+ sign-up bonus. The new Citi student credit card has a Citi Rewards+℠ Student Card annual fee, an introductory purchase APR of 0% for 7 months, and lots of rewards points. New cardholders who spend at least $500 within three months of opening an account get 2,500 bonus points, redeemable for a $25 gift card. The Citi Rewards+℠ Student Card also gives 2 points per $1 on the first $6,000 spent per year at supermarkets and gas stations, plus 1 point per $1 on all other purchases. The Citi Rewards+℠ Student Card has a couple of other interesting features worth noting, too. For one thing, it gives a 10% rebate on the first 100,000 points cardholders redeem each year. In addition, Citi automatically rounds the points earned on every purchase up to the nearest multiple of 10. So if you earn 93 points on a transaction, Citi will give you 100 points. The only downside to this offer is that you need good credit or better to qualify. That will be a non-starter for most students. 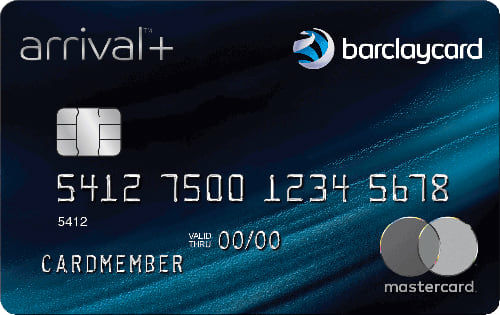 The Barclaycard Arrival Plus Card made a triumphant return in July 2018, after being discontinued that April in favor of the short-lived Barclaycard Arrival Premier Card. And the Arrival Plus Card has gotten even better since its comeback. New cardholders can earn 70,000 miles by spending $5,000 in the first 3 months. Plus, the best parts of the old offer are still the same, including double miles on all purchases and really flexible redemption policies. 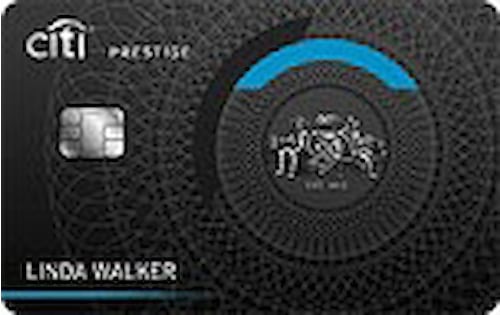 The new-and-improved Citi Prestige® Card offers 50,000 bonus points, worth $500 in travel, in return for new cardholders spending $4,000 in the first three months. Prestige also provides up to $250 in statement credits each year to cover travel purchases. It gives 3-5 points per $1 spent in a number of bonus categories. And it even offers the chance to earn free hotel nights. The card needs all of its many benefits, however, as it charges a hefty annual fee: $495. Now that you’ve been introduced to the newest credit card offers, it’s time to take a closer look to see if any of them deserve a spot in your wallet. Newer doesn’t necessarily mean better. So we recommend comparing your favorite new credit card offers to the best credit cards in the same category to confirm you’re saving as much as possible. You’d also be wise to check out the latest deals and promotions available from established credit card brands for the same reason. For more information about how to make your final selection, consult our guide on how to pick the right credit card for your needs. Below, you can get a feel for the rate at which new credit cards launch from the timeline of 2018 -2019’s new offers. To identify the best new credit cards, WalletHub’s editors monitor major credit card companies for new offers. This includes both brand-new credit card offers and cards making a comeback after undergoing substantial changes. As new offers hit the market and old offers change, we update both this page and our database of information on 1,000+ credit cards. Furthermore, we compare each new credit card offer to any other recently released cards with similar features that are competing for the same type of applicant. The key factors used for the comparison depend on the type of card. For example, new rewards cards are typically evaluated based on their expected net earnings after annual fees, whereas APRs are more important for new 0% credit cards. Finally, we consider the best new credit card offers for inclusion on our other editors’ best pages, from the best credit cards with no annual fee to the best travel credit cards. Our editors' recommendations for the Best New Credit Cards of 2019 are a reflection of their own subjective opinions, and they should not be relied upon as the sole basis for choosing your financial product.